One does not need to be a genius to know some math tricks. A lot of people assume that those who can calculate numbers in their heads fast are very special. Let’s say that is the case. 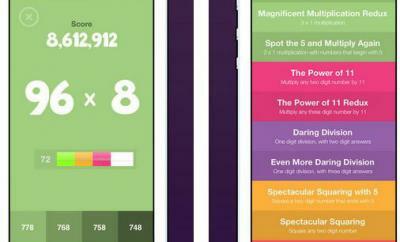 You can become special too with Math Tricks for iPhone. 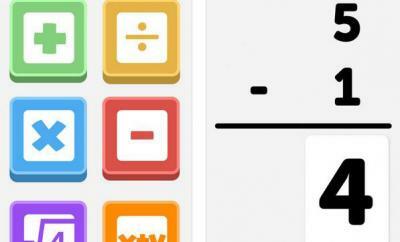 It’s a trick application that teaches you how to calculate large numbers in your head without breaking a sweat. These tricks can not only save you time in real life, they can impress your friends and colleagues too. Math Tricks goes beyond simple 25 * 25 tricks. 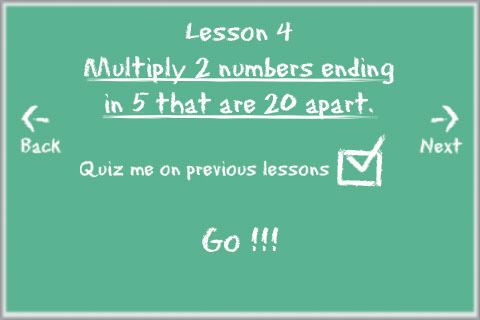 It teaches you how to square numbers in the 50s, those in the 90s, and multiplying all kinds of numbers faster. 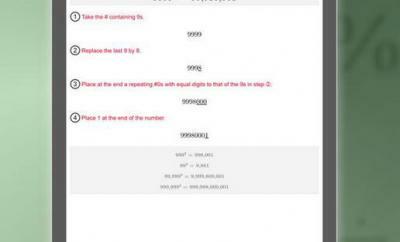 It has easy to follow instructions that do not confuse you no matter how bad you are in math. I like the fact that users can test themselves to see if they have learned the lessons. 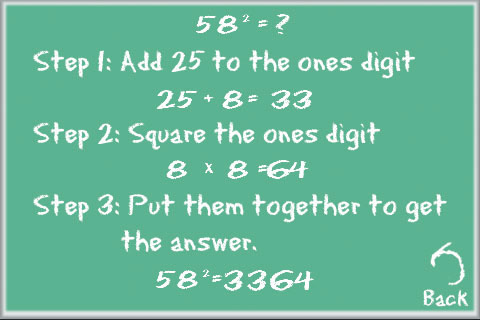 If you have not tried these types of math tricks in the past, it may take you a bit to grasp and master these. The quizzes should help you do that faster. I would love to have a way to challenge others in this app and put my time against others when it comes to calculating big numbers. Still, this is one awesome time killer of an app that makes you smarter too.